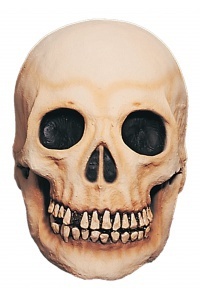 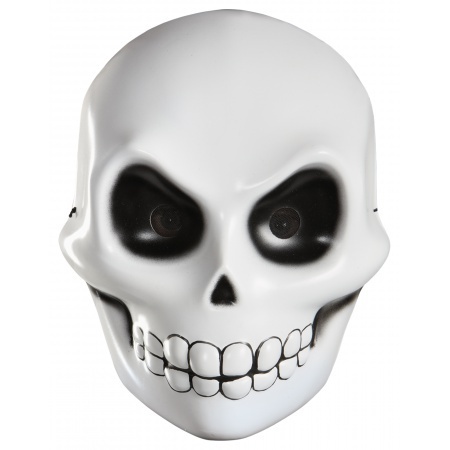 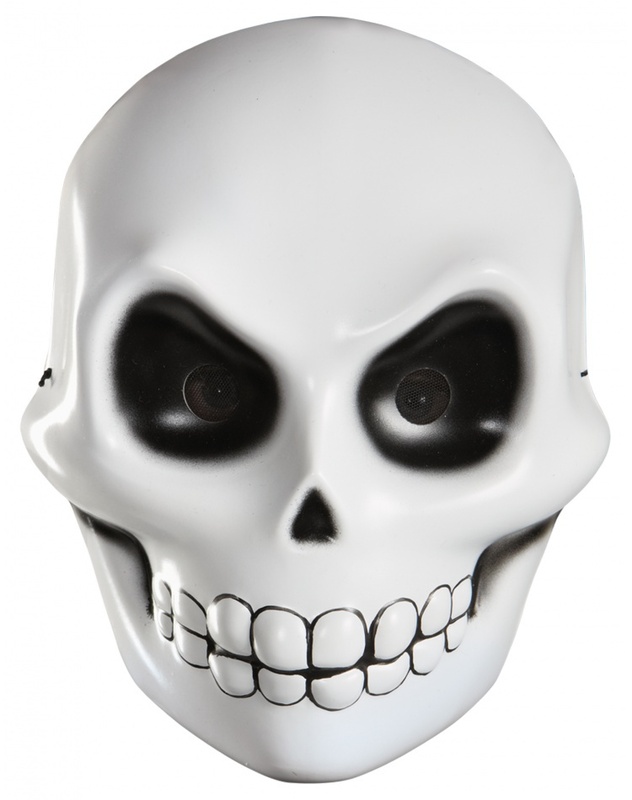 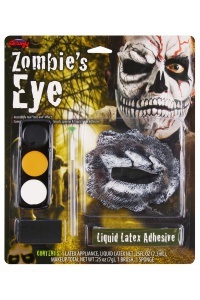 This scary Halloween costume accessory includes an adult size skull mask. 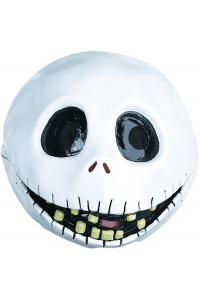 The Halloween mask is a half mask (covers the face only) with an elastic strap. 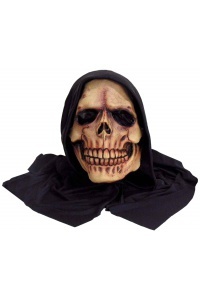 Wear this skeleton mask with a hooded cloak for a scary grim reaper costume or skeleton outfit. 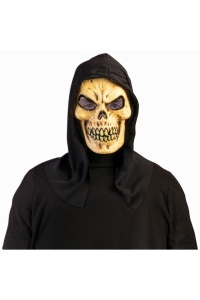 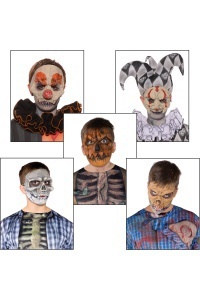 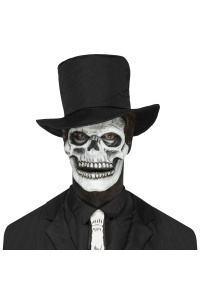 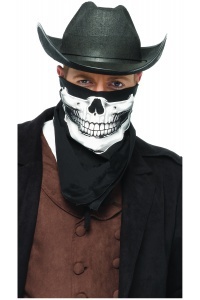 The black hooded cloak is not included with this adult skeleton costume mask.